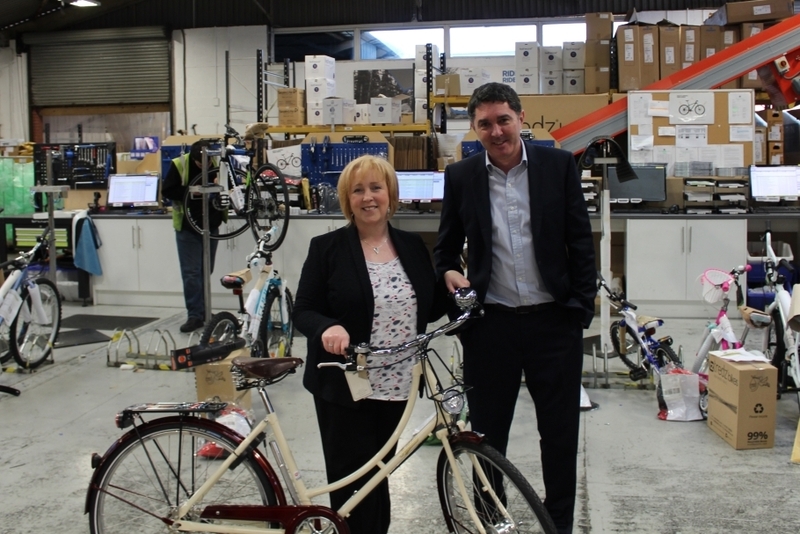 Suzy Davies, Welsh Conservative Assembly Member for South Wales West, has visited one of the UK&apos;S largest independent cycling retail groups based in Swansea to discuss the cycle safety programme which Mrs Davies is championing. Mrs Davies was particularly interested in improving cycle safety with a keen interest in local authorities fulfilling their requirements under new laws in Wales, to provide cycle routes for people to get to and from work. Mrs Davies said; "With thousands of dedicated cycle routes across Wales we are still a nation that would benefit from continued education regards to cycle safety. Many people I have spoken to don&apos;t understand that it is illegal to cycle on pavements which could not only incur a £30 fine but also place pedestrians at risk of injury." Keith Jones Group Managing Director which includes online and real world cycle retailers Tredz, Wheelies Direct and the B2B Cycle to Work scheme provider Cycle Solutions supports Mrs Davies by echoing her education plan. Mr Jones said "We believe providing safety information and education to cyclists can only improve the cycling experience so many of us enjoy. We are looking to establish an education programme by working with schools to educate young children on the safety of cycling and of course the enjoyment. In addition, we run a Bike Dr scheme through Cycle Solutions which allows customers to have their bike checked by a member of the team to ensure its safe to ride." Mr Jones continued, "We are delighted that Mrs Davies has taken interest in such a valid cause and will look forward to further conversations on how we can continue to raise awareness in this area".